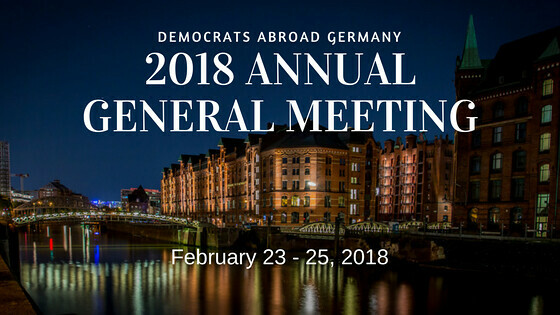 Join members of Democrats Abroad Germany in Hamburg in February to discuss our plans for 2018! Please complete the registration from by February 12th. More detailed information regarding the event schedule, homestays, stipends, and hotel accommodation can be found here.